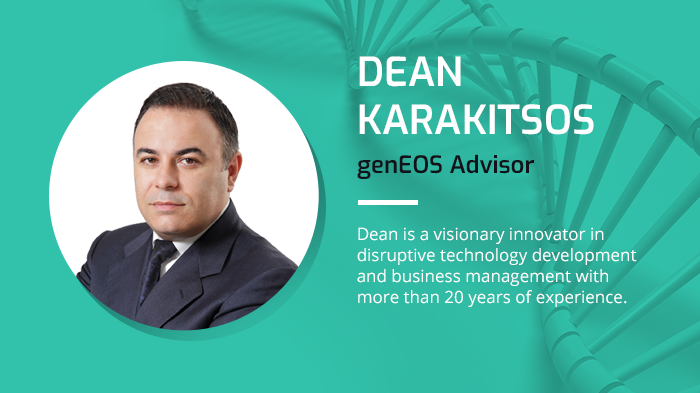 We are glad to announce that Dean “Sakis” Karakitsos, a visionary innovator in disruptive technology development and business management with 20+ years of experience, has joined the project’s advisory team to share with us his valuable experience of bringing an industry-changing approach to designing and launching dynamic new technology products. ICOs where Dean served as an Advisor have raised over $150M, with many of them still running. He is also a founder of Bloqchain Science, a company building secure decentralized systems, and co-founder of Qrypton.io, a decentralized private index fund, and co-founder of Bloxy.info, a blockchain explorer and powerful blockchain analytics tool. For three consecutive years, Dean was listed in INC 500 fastest-growing private companies in the United States. He is one of the Top 20 People of Blockchain on ICOBench. 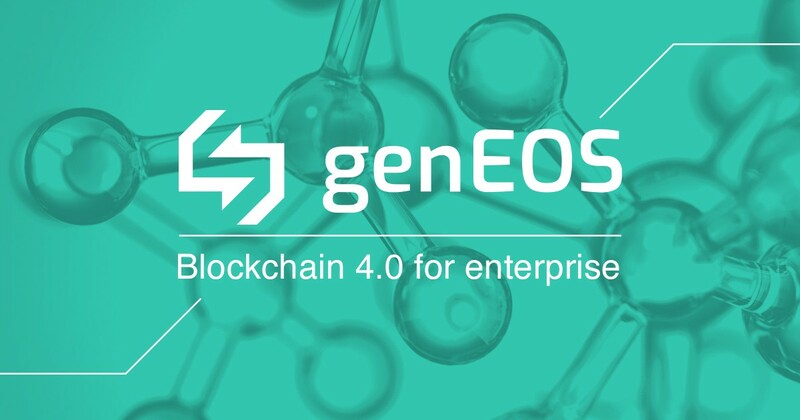 genEOS is a business and technology ecosystem that enables blockchain adoption for its members. The ecosystem environment intends to provide enterprise software development tools to technology members of the ecosystem, for the purpose of building and operating decentralized applications at enterprise scalability, interoperability, and performance.